You work hard. Your office chair supports you every day in that work. So, it’s important that you invest in an office chair that will make your day as comfortable as it can be. Also, let’s be honest in admitting that your office chair is also a statement about your personal style. This is especially true if you are purchasing multiple chairs for your office. You want your colleagues, your clients, your business partners, and potentially your competitors, to be impressed by your office style and also be comfortable while they are there. The best office chairs will meet all of these needs. 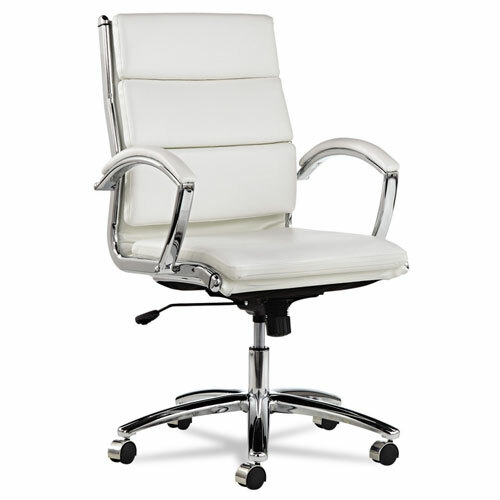 This beautiful office chair features soft faux leather with a shiny chrome base for a stunning modern look. It has padded armrests for added comfort and support. It is also designed with waterfall seating to reduce pressure on the back of the knees. This is a perfect balance of style and comfort for anyone who needs to spend a long day at their desk. 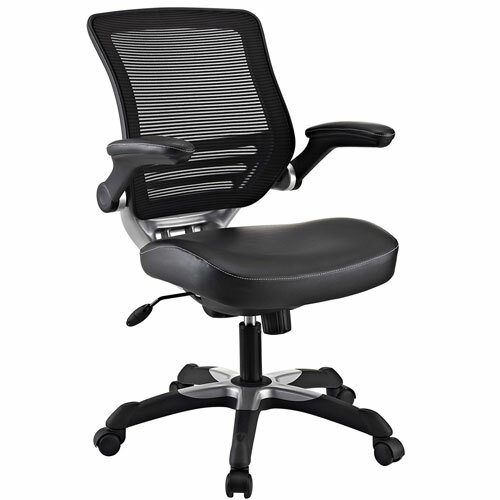 This office chair is made with a mesh back and a leatherette cushioned seat. The seats tilt for tension control and the seat height is adjustable. Perhaps the most unique feature of this chair is that the arms flip up out of the way when you don’t want them. When you’ve been working a long day and are starting to feel restless, you can flip up the arms to give yourself more space. Or, if you intend to use this chair as more than an office chair, you have both an armed and an armless office chair all in one for flexibility. This chair is highly praised for its comfort. It is built with a breathable mesh backing, a waterfall seat for reduced tension on the back of the knee, and the seat and arms are fully adjustable. As an added plus, the arms are adjustable not just in height but also in width, which is a unique feature. The arms are adjustable in both height and width. 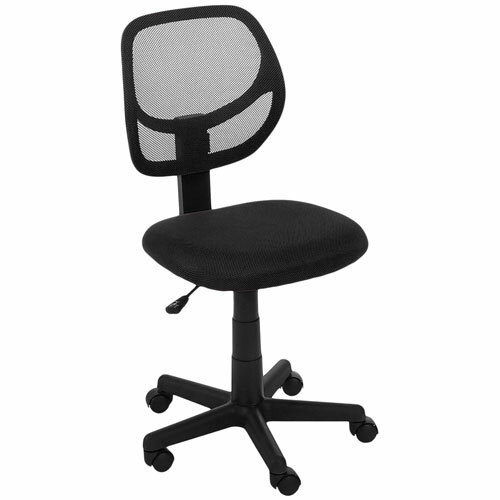 A simple, armless office chair perfect for small spaces or anyone looking for a slimmer chair. The seat is fixed in the upright position (no tilt back). If you are constantly on the go, and only need a small, simple office chair to complete shorter tasks, this is the chair for you. This is an armless chair for those who prefer a sleek design or a smaller, less bulky chair. It features a thickly padded seat with a durable tweed fabric for extra durability. It has built-in lumbar support for those with poor posture or who need extra back support, and it comes with a waterfall seat to reduce pressure on the knees. The seat height and depth are both adjustable. This office chair features an eco-leather seat with mesh siding for extra breathability to keep your office chair feeling fresh and new for longer. The arms are padded and height-adjustable. It comes with 2-to-1 synchro tilt for easy reclining, and the seat height is adjustable too. 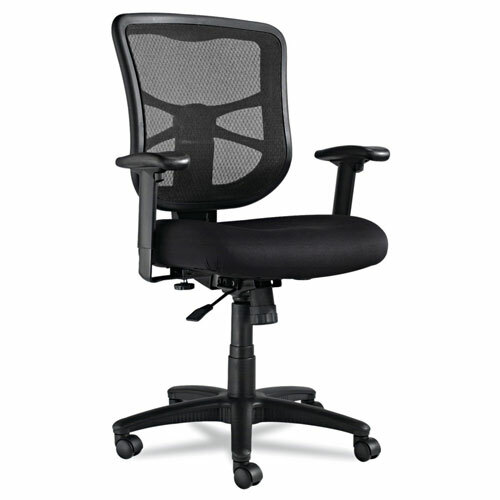 Another armed office chair with lots of adjustable options for maximum comfort. 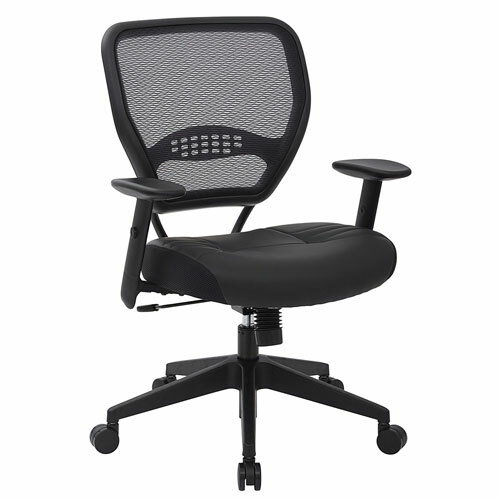 It comes with a mesh back and padded armrests. 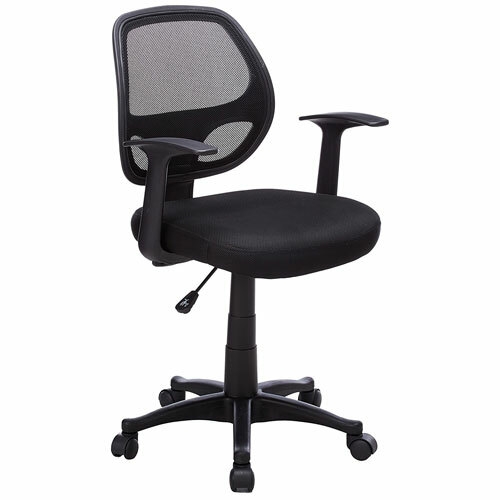 This chair initially seems to be an average office chair, but gets a top ranking for the overwhelmingly positive reviews it receives from customers who say it is extremely comfortable and easy to assemble. This is the best office chair for anyone who loves a classic, cushy, executive style office chair. 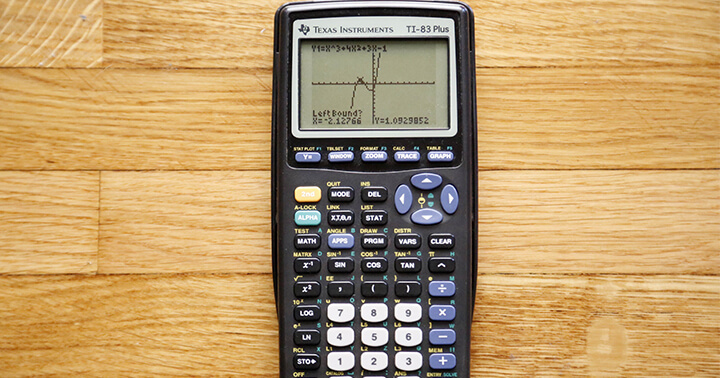 It is a bit on the bulkier side, so it is best for those with a larger desk and more space. Still, the bulkiness is worth it for all the extra cushioning. This is especially useful for people who intend to work a long 8+ hour day in their office chair. The padding on this chair is sure to keep you comfortable all day. 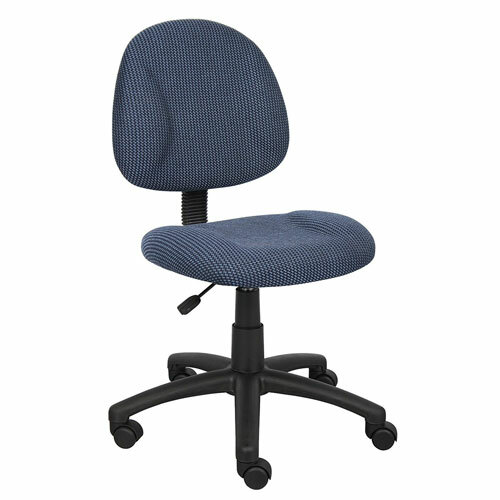 This armed office chair features a breathable mesh back and a padded mesh seat with fire-retardant foam. 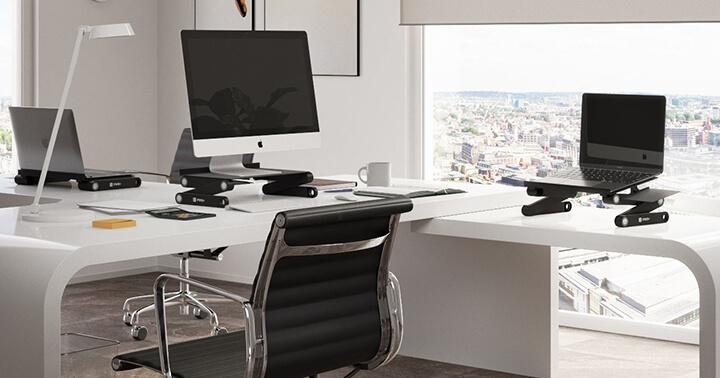 The seat height is adjustable to accommodate a variety of desk heights. The base is made of heavy duty nylon for durability. 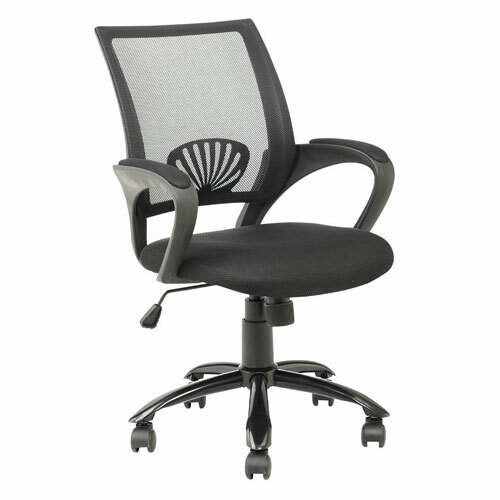 This office chair offers the perfect balance of comfort and style. 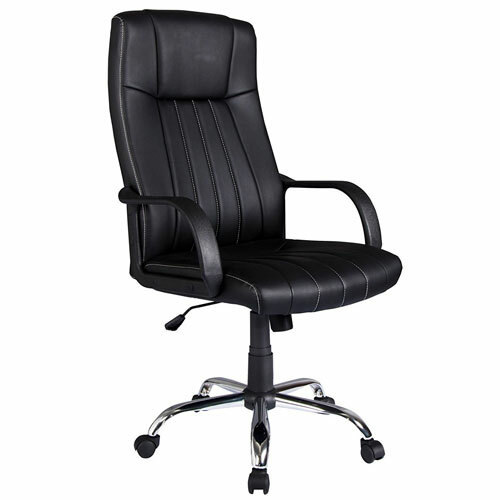 The chair is made out of soft, PU leather upholstery with a traditional, high back executive style. 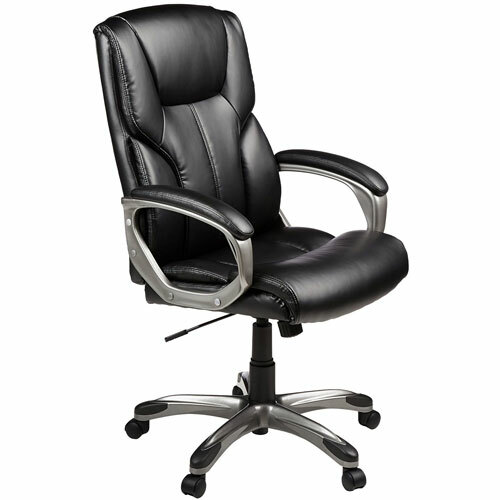 However, unlike some of the bulkier executive styles, this office chair is very sleek and modern. 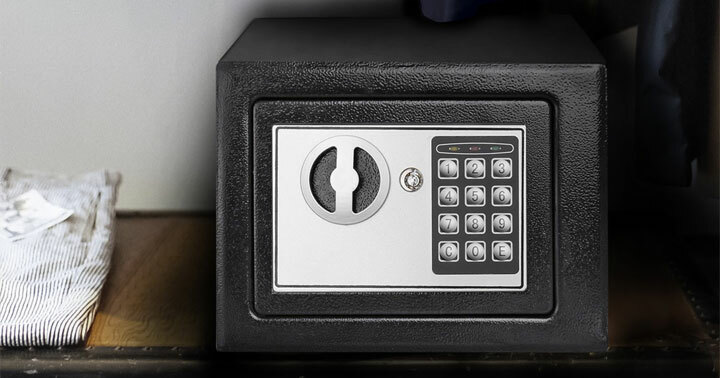 It has ample padding but remains streamlined and clean in appearance. It has built-in lumbar support for your back. It is water resistant and features a solid, metal base for extra durability. Overall, it is truly sophisticated in appearance with maximum comfort and durability. When it comes to choosing the best office chair, it’s all about deciding what will work best for you. Before you buy, think about the kind of chair you want and the features you need. Do you want arms or armless? Large with lots of padding, or slim and sleek? You should also think about how many hours you will be spending in your chair each day. If you will only use it for short periods of time, the best office chair could be one that is small and easily tucked out of the way. If you will sit in your chair all day long, consider a more traditional, executive style chair with built-in lumbar support for extra comfort. Whatever your preference, you should be able to find a chair that suits your needs in the reviews above.